Rolf Suey - Better Late Than Never: Top down or Bottom Up Investing - Which is better? Top down or Bottom Up Investing - Which is better? Economy is not doing well, the top down investor may advise to stay away from the stock market, diversify, hold on to your cash, and pounce when the market crash. The bottom up investor will not be bothered on how the market is performing in general. He is more concern about how the company that he owns is performing over time and if the fundamentals remain sound. He will buy more if the stocks become cheaper during a crisis. Which strategy is the better? Perhaps there is no right answer to that. It really depends on which strategy you are more comfortable with. Anyway, both strategies work if employ correctly. It will be great to understand both strategies by reading and more reading. Then choose the strategy that you are most comfortable with. The strategy of choice often can associate with the successful person employing the strategy as well. For instance, if Warren Buffett is your idol, you will go for bottom-up approach. For this approach, you normally carry on investing on a regular basis regardless of how the world is at the moment. Just find the best company at the right price that will perform over time, and stay invested for a long long time. You only sell when the fundamental of the company changes. And yes, you need a strong stomach to withstand even a 30-50% decline in your portfolio. For top down, understand the dynamics of how the world is inter-connected and inter-dependent. Know how one event will affect another and their effects on various financial instruments. Know how to create a diversified portfolio that is mixture of stocks, bonds, precious metals, cash, and properties that can weather all situations, hedging against different situation the economy is facing! Know when to be patient and when to pounce. Be a strong believer of your strategy. Aside from reading, you should continuously reinforce your belief by talking to people around you and also via writing. You may realize Warren Buffett during interview, rarely talks about how the world economy is currently. He focuses on the company’s fundamentals and how is it going to perform over a long period of time. Jim Rogers always mentioned US is the largest debtor nation in the world and will collapse in anytime soon. He is a firm believer of China, commodities and agriculture. And there are these two guys by the names of Peter Schiff and Marc Faber who had been talking about a global financial crisis for so many years now. They never deviate from their belief even over time. All these people appear on television quite often and it seems like they are using the opportunity to reinforce their beliefs and are always consistent. So, are you Top Down or Bottom Up? Saying I'm more top down is like me saying I'm left-handed. Good analogy! No one strategy fits all. Need to be flexible. Just like what u said, cannot be too rigid and live in medieval times! Use two hands when necessary! It doesn't matter if a cat is black or white, so long as it catches mice! Other guys can impress the girls with their OCS or SAFINCOS stories; what can I share as sick chicken Pes C? Lucky I grasshopper! If I ant I would probably in depression right now. It's ok to be ordinarily. Just put in a little bit extra... you can become extra-ordinary! If you are depressed... u won't be writing all these out! Normal people born, heart got 3 valves, mine got 2! At 16, friends talked loud loud to go Uni, I wanted to go poly. But sis said NO, I followed! In army, friends talked about OCS or commando, I kept quiet. I booked out everyday and started earning (gave tuition). We both have turned lemons to lemonade! Of course you not ant or grasshopper; you oily man! Those who have watched Malay movies from the 50s to 60s will know what is oily man... Ha ha! Once in awhile drink lemonade is ok lar. Can be sour but also refreshing. 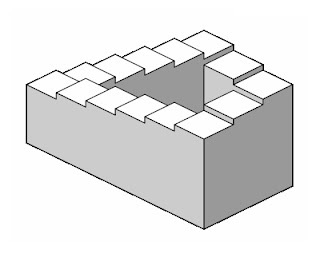 I think every corner of the stairs could be top or bottom seeing from different perspective. That's precisely what I mean when I inserted the picture. Up or down, it is totally up to yourself. It better not to claim that I am right and u r wrong?